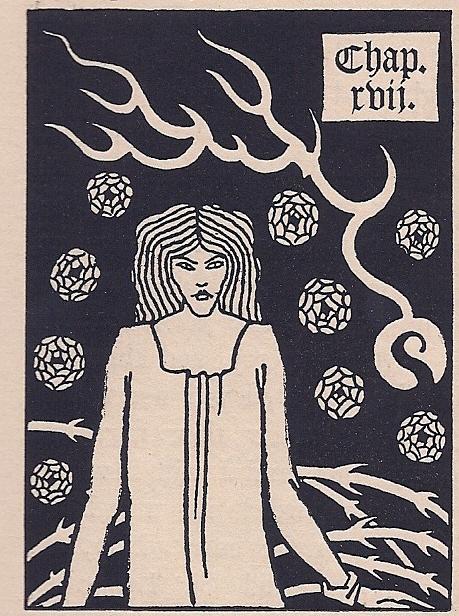 Many years ago my sister returned from Art School with a book on Aubrey Beardsley. I was 15 at the time, and those stunning drawings captivated and enthralled me. Over time I read, I collected, and significantly I wrote. Here are some of the happy outcomes from those Beardsley years. Please note these are print articles and are not (to the best of my knowledge) available electronically. In Herbert Pollitt’s copy of Aubrey Beardsley’s Book of Fifty Drawings lies an intriguing inscription in Beardsley’s hand, one that promises to reveal the secrets behind one of his most striking drawings. 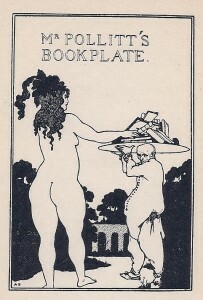 In my article I reveal the story behind the bookplate’s design, and the vital relationship between one of England’s most brilliant draughtsmen and his flamboyant young patron. 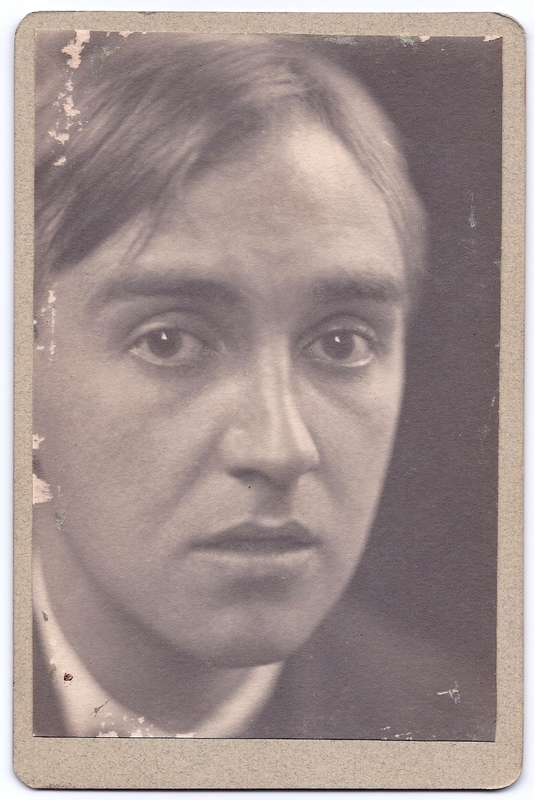 Read it in: “Mr Pollitt’s Bookplate.” The Book Collector, 36 (1987): 518-530. Herbert Pollitt – wealthy Cambridge undergraduate, one-time lover of Aleister Crowley, correspondent of Oscar Wilde, patron of Beardsley and Whistler, leading “lady” of the Footlights Review. I was thrilled to be commissioned to write this piece, and in my entry I highlight the salient facts about this remarkable man’s life. Read it in: Entry on Herbert Charles Pollitt in The 1890s: An Encyclopedia (sic) of British Literature, Art, and Culture. Edited by G. A. Cevasco. Garland Publishing Inc. New York & London, 1993. 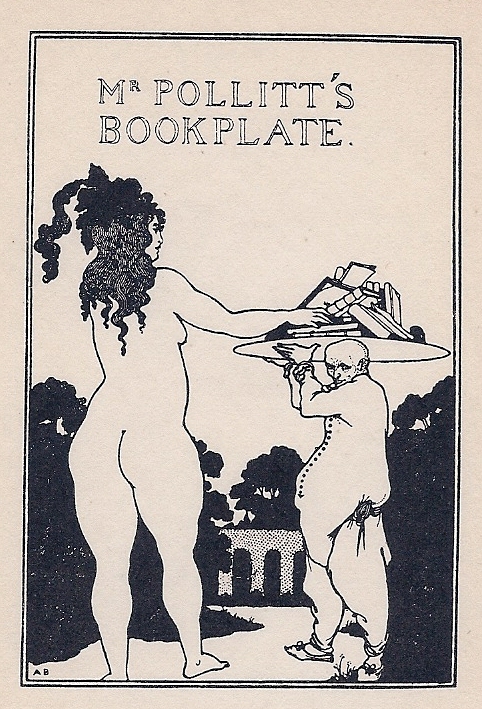 Aubrey Beardsley’s debt to Japanese art is widely known, and supremely described in Linda Zatlin’s seminal Beardsley, Japonisme, and the perversion of the Victorian ideal (Cambridge University Press 1997). Lesser known however is the influence Chinese art, and in particular Chinese blue and white porcelain design, had on his early work. In this article I reveal those early influences, and demonstrate how they left a lasting legacy that can be identified in his later drawings. Read it in: “Aubrey Beardsley’s Blue and White.” The Journal of Pre-Raphaelite Studies, New Series 20 (Spring 2011): 71-89. 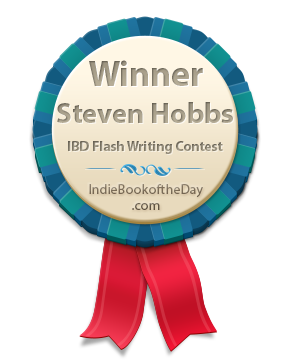 I was delighted to win the Non-Fiction category of the 2013 IBD Flash Writing competition. Here’s my winning 50 word entry on the process of creativity…. Sublimation – Empower your receptive mind; feed it through open eyes and ears. Enable the sublimation from spirit to substance. Capture the essence in your chosen form. Spin it, invert it; never reject it. What if? How? Why? And when it. Rest it, mature it, subliminally consider it. Ready? Write it.